Why is my dog suddenly aggressive toward other dogs? Adolescent dogs are little fur-covered containers of raging hormones. Even if the dog is spayed or neutered, the body–and temperament–is changing. A dog who formerly ran in fright from other dogs might now take the offense. And many dogs who are genetically predisposed to aggression begin showing the signs at this time. Whatever the cause, aggression often manifests between the ages of six months to eighteen months. Intact male dogs are the most likely to show adolescent-onset aggression, particularly toward other intact males. Even if you have more than one dog at home, this doesn’t guarantee theywon’t display aggression toward unfamiliar dogs. And because each breed has a specific play approach, a new dog’s style may be very different from what your dog is used to. That alien body language could cause confusion–and potential aggression–if they feel threatened. Let’s say your dog loves other dogs, but one day at the park, another dog attacks them. Now your dog may be on the offense when they go to the park, thinking other dogs mean them harm. 4. Something is physically or medically ailing your dog. 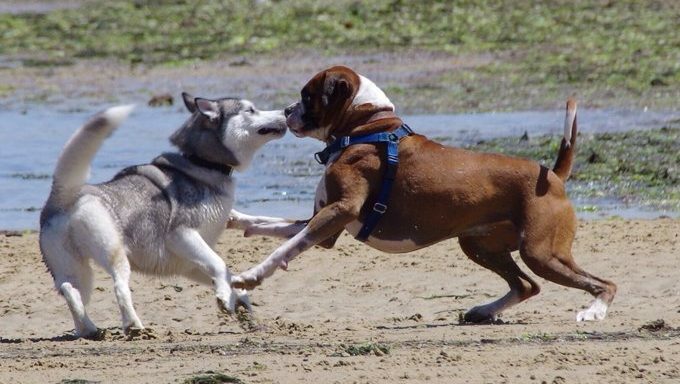 This is commonly seen in older dogs with conditions such as hip dysplasia or arthritis; these dogs just don’t appreciate the body slams of enthusiastic younger pups. But illness or physical issues can strike dogs of any age. If your dog is feeling unwell for whatever reason, aggression may be a symptom. Any time your dog shows sudden-onset aggression, a veterinary checkup is in order. The best course of action is to address this problem before it worsens, as aggression issues tend to escalate if left untreated. Use the services of a professional trainer who uses positive reinforcement methods. Get a recommendation from someone who has used the trainer before, ask your veterinarian, or check The Association of Pet Dog Trainers‘ web site to find one in your area. 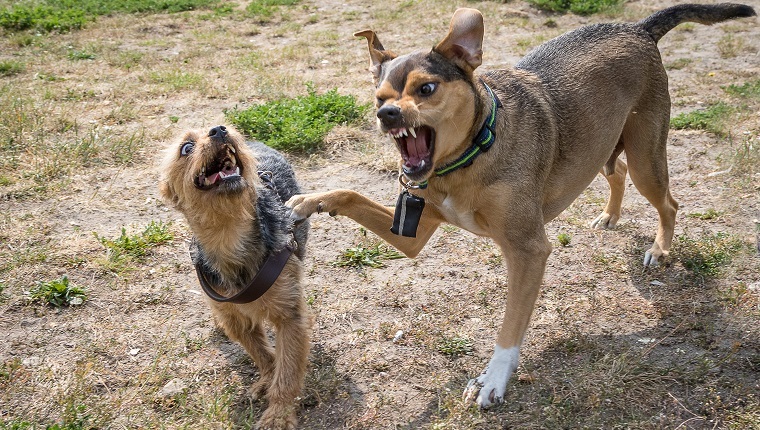 Have you ever had to deal with sudden aggression in your dog? How did you help them? Let us know in the comments below!